Watch A Fisherman’s Tale’s revolutionary multi-dimensional single player co-op play in action with a shiny new gameplay trailer! ROTTERDAM, NL – November 28, 2018 – Vertigo Games, Innerspace and ARTE today announce A Fisherman’s Tale, the upside-down, inside-out VR puzzle adventure game is only a few weeks away from release, as it launches for PlayStation VR, HTC VIVE, Oculus Rift and Windows Mixed Reality headsets in January 2019 at $14.99/€14.99. Playing with the incredible sense of scale unique to VR, Innerspace invented a unique VR gameplay mechanic based on the recursion principle. In a way, A Fisherman’s Tale is a co-op game – but instead of playing with others, you’re teaming up with multiple dimensions of yourself! With the ability to twist and bend your newfound, peculiar reality, you’ll be challenged with multi-dimensional puzzles on your journey to the core of an unusually tall tale. 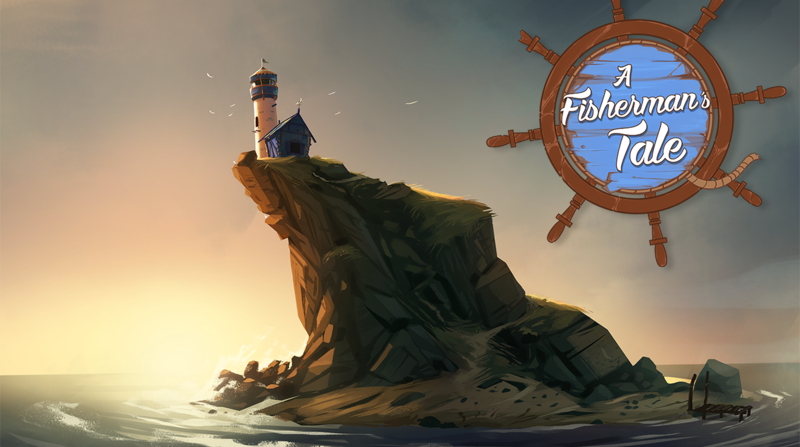 A Fisherman’s Tale will be available for PlayStation VR, HTC VIVE, Oculus Rift and Windows Mixed Reality in January 2019. Created in 1992, ARTE is a public service European culture channel and digital network with a focus on creation and innovation. In the last decade, ARTE has co-produced a number of major interactive works, including the games Type:Rider, Bury me, my Love, Vandals and Homo Machina and VR-experiences like Notes on Blindness, Alteration, and Battlescar.